With summer in sight, you might already be seeing kids setting up their lemonade stands on neighborhood corners, asking for 25 cents per cup. It’s a warm-weather tradition I grow more fond of each year, especially on those days where you really do need it! 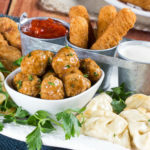 If you’re used to just picking up those powder packets from the store, adding water, and sticking the pitcher in the fridge, then you haven’t really discovered all of the creative ways you get to enjoy this spring and summer staple. Not only are there super easy recipes out there for creating fruity lemonade concoctions, but you can even transform your lemonade into a tasty dessert! 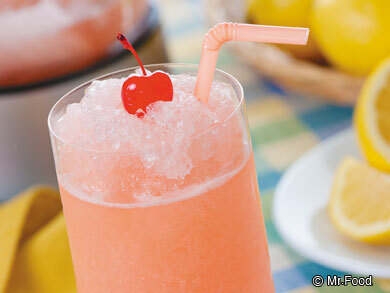 Pink Lemonade Slushy – When was the last time you treated yourself to a slushy? I bet you can’t even remember! Treat yourself and your entire family to a slushy night with this sweet favorite. 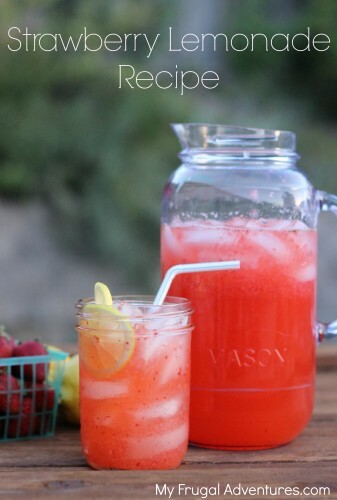 Strawberry Lemonade – Anytime I see strawberry lemonade offered on a restaurant’s drink menu, I instantly forget the fact that I’m over 21 and can order any drink I’d like and instead ready myself to drink multiple glasses of strawberry lemonade. A recipe like this is a dream come true. Cotton Candy Lemonade – It doesn’t get much better than this! 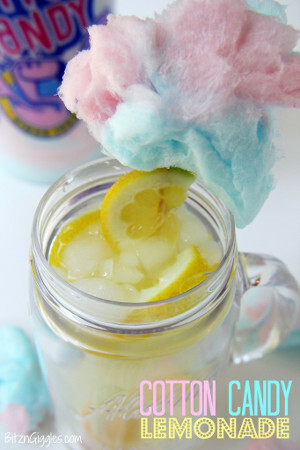 Add an extra punch of sweetness to your favorite lemonade drink with this fun cotton candy twist! 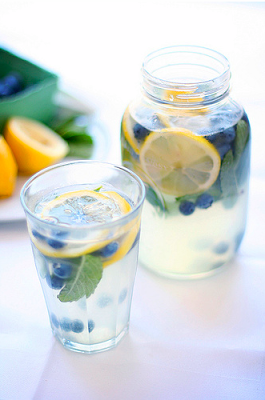 Mint Blueberry Lemonade – Now this is a drink you probably won’t be seeing on a local drink menu. This refreshing lemonade recipe is just the unique recipe you need to really impress your friends on a Sunday afternoon. 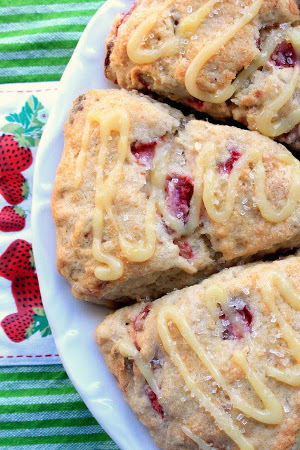 Strawberry Lemonade Scones – Yup, lemonade can be for breakfast. These homemade scones are a delightful way to start off your morning. Plus, you can take one on the go, so you don’t have to slow down. Pink Lemonade Pie – This no-bake recipe is the perfect way to make it feel like summer. The recipe only uses five ingredients too, so you’re not going to be fussing around trying to make an incredible dessert. 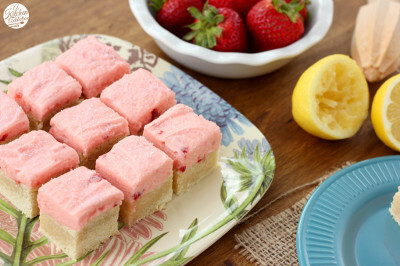 Strawberry Lemonade Frosted Sugar Cookie Bars – If you’re helping to set up a lemonade stand this year, these strawberry lemonade cookie bars are the perfect snack to sell alongside it. 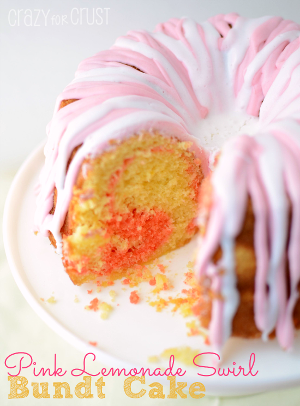 Pink Lemonade Swirl Bundt Cake – This homemade Bundt cake is one of the best ways to celebrate the tastes of the season. Dole out a few slices to family and friends and enjoy them out on the back porch as the sun goes down. Pure bliss. 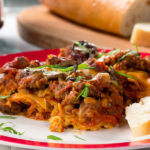 Which of these recipes are you most looking forward to trying out? Let us know in the comments below!